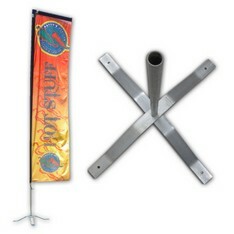 The Cluster Flag Base is steel constructed and epoxy coated in silver colour, intended for outdoor as well as indoor use to accommodate four flags. 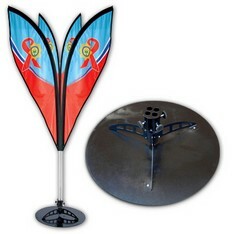 The Flag Spinner Base is steel constructed and epoxy coated in black colour, intended for outdoor as it is propelled by wind / air movement. 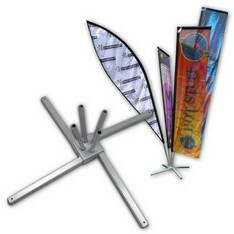 The system accommodates four flags. 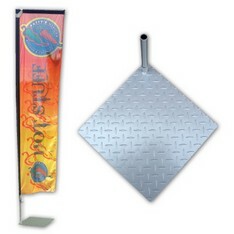 The Flat Indoor Base is steel constructed and epoxy coated in silver colour, intended for indoor use to accommodate one flag. 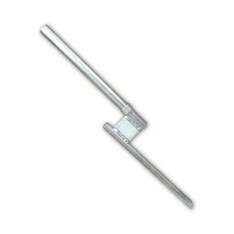 The Ground Spike is steel constructed and electro-plated to suit all flags. 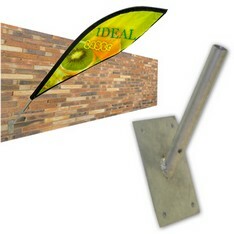 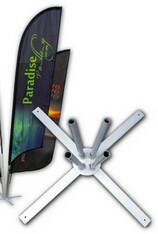 The Wall Mount Bracket 45 Degree is steel constructed and electro-plated to accommodate one flag at a 45 degree angle.